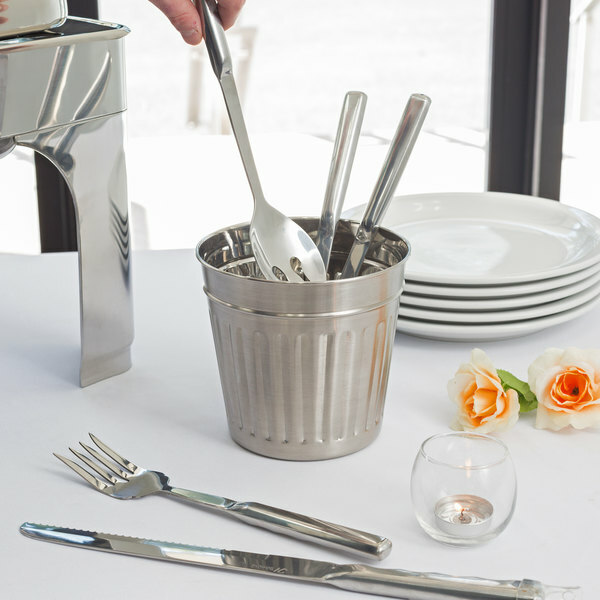 American Metalcraft OSCAR3 Stainless Steel Utensil Holder - 6" x 5 7/8"
Create a charming display at your buffet station with this American Metalcraft OSCAR3 stainless steel utensil holder! Sporting a sleek look and slightly tapered design, it is sure to bring an eye-catching look to your restaurant or event. Its brushed, polished finish will help the colors in your dining area pop, and the ribbed look offers a textured yet refined appearance to your tabletop display. The open, round design also allows for easy access to the contents so your customers can quickly grab what they need without a problem. 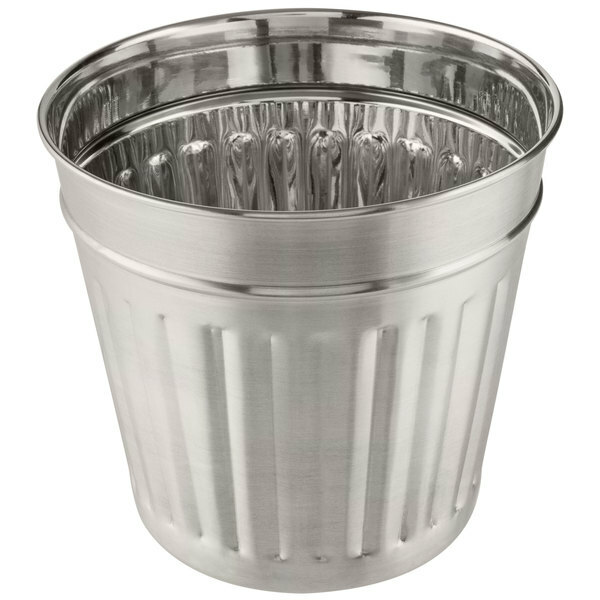 Extremely versatile, use this container to house straws at self-service stations, or flatware on your serving line. You can even fill it with popular condiment packets like sugar, creamers, ketchup, and dressings. Use this utensil holder to effortlessly supply your customers with all of the necessary utensils and condiments they need for a delicious meal! 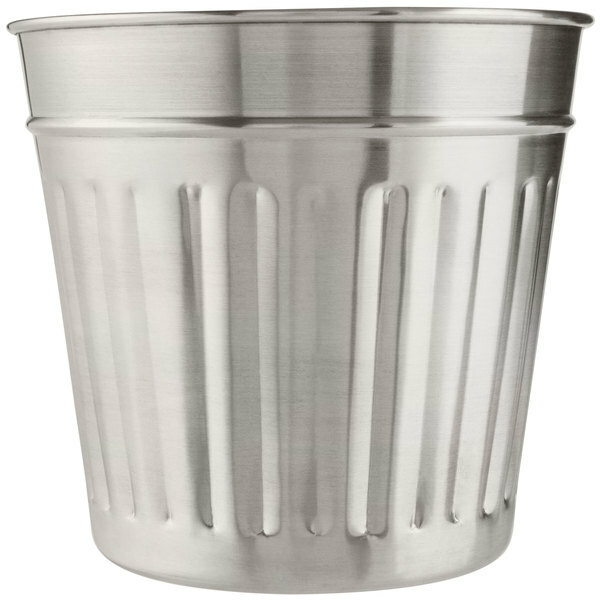 Made of solid stainless steel, this utensil holder withstands the stresses of daily life for extended product life.